Many suffer from sinus conditions such as a sinus headache. The first thing that needs to be done is to actually have a doctor decide if your pain is actually caused by a sinus condition There are other reasons a person may have pain in the sinus area, so a doctor needs to decide if what you have is actually a sinus headache, Pain and pressure in the upper cheekbones, under the eyes and along the bridge of the nose, in moist case is a sinus related headache. Coping with a sinus headache is not always an easy task. Like stated above, the first thing that needs to be done is to see a doctor. If you have a sinus infection, and are taking over the counter drugs, this may make your sinus headache even worse a doctor should advise you what kind of medication you should take, and for how long. One main misconception is that an allergy will cause a sinus headache. Allergies can cause sinus congestion, which lead to sinus headaches; however both symptoms need to be treated separately. A doctor will be able to determine what’s actually causing your headaches and will treat you accordingly. A true diagnosis of a sinus headache without an infection is usually treated with basic medications. Decongestants and antihistamines are the main two medications used to fight a sinus headache. Always drink plenty of fluids when you have a sinus headache. This helps in the decongestion process. Getting plenty of rest, and blowing your nose often will also be beneficial. All of these things will be of help in limiting the severity of your sinus headache. People who self diagnose their sinus headache is quite often wrong. 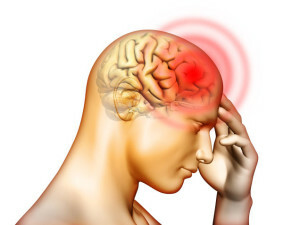 Many people think they have a sinus headache actually have a migraine. The symptoms are similar however most sinus headaches come with a sinus infection or at least a blockage of the nasal passage, Migraine headache sufferers may also experience the same pains in their facial area but without the congestion, Many people choose to self medicate thinking they have a sinus headache when they really have a migraine, Some people go years without the proper diagnosis. A Doctor can determine you actually have a sinus headache or something very different. There are no real cures for sinus headaches. All we can do is try to cop with it, and reduce the pain associated with the sinus headache. Aspirin and other pain relievers may help alleviate the pain, but most likely a decongestant or antihistamine may be necessary. Resting and getting plenty of sleep will also aid in coping with your headache. Some people experience relief using a warm rag applied to the facial area. The heat may help with the pressure pain. but primarily just resting is the most beneficial. Controlling your environment will also help you cope with your sinus condition… Dry climates often trigger sinus headaches so adding a humidifier, or a steamer to your house may help. Treating the congestion problem as fast as possible will usually stop a sinus headache in their tracks. That is the best way to cop with a sinus headache is to control the pressure caused by the congestion.